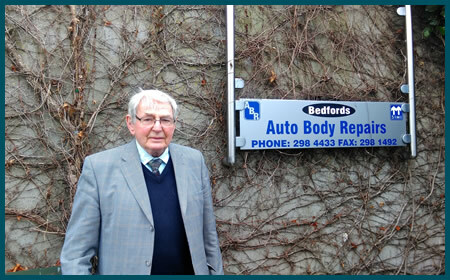 Creating happy customers for over 50 years in the South Dublin area. Learn a little about the people behind the overall's, spanners and hammers! 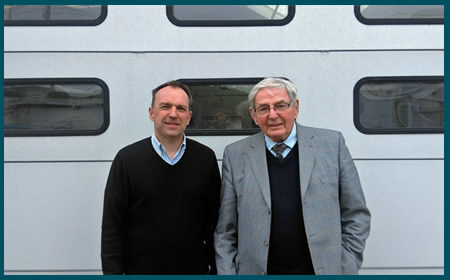 After training as a panel beater, Fred founded the business back in 1961 along with his then business partner Luke Nolan. 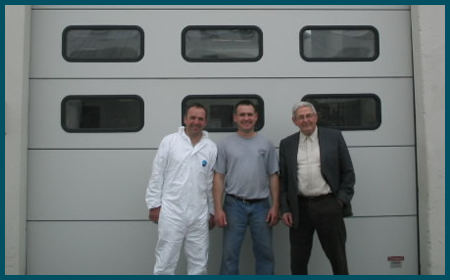 Fred has remained at the forefront of the business over the years, and although the technology in cars and also in garage equipment has moved on, some things always remain the same - having a keen eye, and steady hand for shaping steel panels! To keep active, Fred enjoys playing badminton in his spare time. He has been playing almost as long as he's been repairing cars! Born in 1967, Matthew trained as a mechanic in Maxwell Motors, Blackrock. Following his apprenticeship he worked abroad for a number of years working as a mechanic in such places as London, New York and Perth. Then onto Malmo, Sweden where he worked with Volvo beginning his training as a spray painter before finally coming back to Ireland and joining the family business. Born in 1970, Eric also trained as a mechanic in what was Maxwell Motors of Blackrock. He then went on to join the family business in 1997 and furthered his training as a panel beater, under the keen and watchful eye of his father Fred. Call us | Office: 01 298 4433 - Matthew: 087 2627 722 - Eric: 087 2601 883.